Real estate is one of the safest and most lucrative investments you can make; the market is more stable than stocks and your assets will always be appreciating in value. However, one of the main problems of real estate investment is the huge amount of capital people need. Because of its capital-intensive nature, it’s not an option that’s readily available to most people. But there are ways around this. Specifically, different financial options exist for investors of all types, and if you choose right, you might find that capital returning to you faster than you previously thought. Note: While we are presenting some ways to finance your next real estate purchase, always double-check with your financial planner so that you can get the most out of your investment. 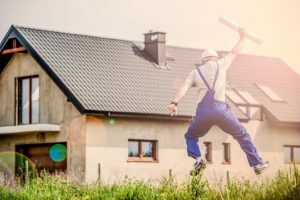 Perfect for those looking to both purchase and renovate a property, fix-and-flip loans are short-term, hard money loans that can be repaid within 1 to 3 years. People who rely on this loan are called Fix-and-Flip Investors, and their job is to use the loan to purchase and renovate a property and sell it to buyers within 3 to 12 months. This type of loan also includes rehab loans, as well as purchase-only financing. If you’re not looking to renovate, then purchase-only loans are for you. This type of loan is available to investors who purchase property that either doesn’t need renovation, or are looking to refinance with a permanent mortgage at a later date. On the other hand, rehab loans are a type of loan program used by investors specifically to renovate a property so that they can sell it or to until they can find a more permanent loan scheme. This type of loan is primarily used to finance owner-occupied primary residences with up to four units. However, it’s also available for investors who want to purchase and renovate single-unit secondary residences or properties. Backed by the Federal National Mortgage Association, or Fannie Mae, Home Style Renovation loans are permanent mortgages and might not be best for investors looking for short-term loan schemes. This mortgage plan is used primarily to finance the purchase of residential properties with up to 5+ units. While both multifamily and apartment loans can be used to finance the purchase of properties with more than 5 units, apartment loans can’t be used to finance anything less than this, as only properties with 5 or more units can be classified as an “apartment” building. However, both loans can be combined, which gives investors various options when trying to finance properties with multiple units. Take note though, that both types of loans can usually be used to finance properties with limited commercial space. This might not be the type of loan you should use if you’re going to purchase a mixed-use or commercial building. Sometimes, to purchase a new property, real estate investors will seek to acquire the equity in an existing investment. This is called cash out refinancing, and it happens when you take out a new mortgage on existing property. However, before you can do that, you must pay off all existing liens, with the difference in cash being pocketed. This cash can then be used as either down payment for a new property, or use it to purchase an all-cash new property. Cash out refinancing is great for lenders because this loan scheme usually has no restrictions regarding how the pocketed cash will be used, allowing investors to finance the purchase of different kinds of investment properties, from commercial and mixed-use, to residential and industrial. However, cash out refinancing does require the investor to have, on average, 30% or more equity in an existing home in order for it to work. This happens because lenders will typically only allow cash out refinancing between 65% to 80% of an investments value. One of the most coveted types of loans in the market, blanket mortgages are used to finance multiple properties under a single mortgage plan. It’s a unique type of loan that investors use to purchase multiple properties as one unit. 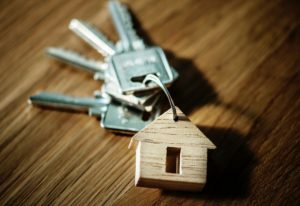 Because of its unique nature, however, lenders will only approve blanket mortgages for investors that are looking to finance more than 5 properties under a single mortgage, and the properties must be in good condition prior to financing. 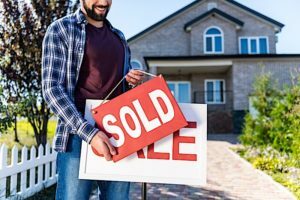 Because it’s used for multiple properties, blanket mortgages usually have fewer restrictions on the types of properties than an investor can finance. This means that, theoretically, an investor can use a blanket mortgage to finance multiple multi-unit properties, whether residential or mixed-use, and place them all under a single loan. Many investors use blanket mortgages in a variety of ways, but the most common ways of using it are: the purchasing of multiple new properties with a single down payment, and in the refinancing of multiple existing properties with a single loan. The capital requirements of buying properties can be scary to the uninitiated. 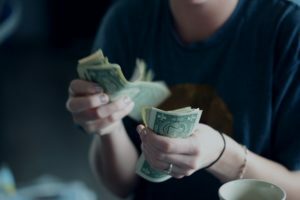 But luckily, there are many lenders and financing options out there to help you get the necessary finances you need to purchase your first investment. If any of these loans are attractive to you, do more research about them and find out as much as you can about it. Consult with trusted mortgage lenders, friends, and other investors so that you can find a loan type that fits your financial situation and can help you achieve your financial goals. It’s also important to remember that real estate investments are for the long-term. While certain types of properties, like commercial or industrial, can start generating income after a couple of years, a complete ROI might take longer. Residential investments, on the other hand, can either be flipped and sold at profit, or renovated to become a homestead for you and your family. Regardless of how you use your real estate investment, remember: it’s not for those wanting to get rich quick. Real estate investments are for people who are looking to protect their assets for decades.